In this guide you can find information on how to record audio stream in .wav file format coming from an IP camera. To implement this example, you need to have OZEKI Camera SDK installed, and a reference to OzekiSDK.dll should be added to your Visual Studio project. 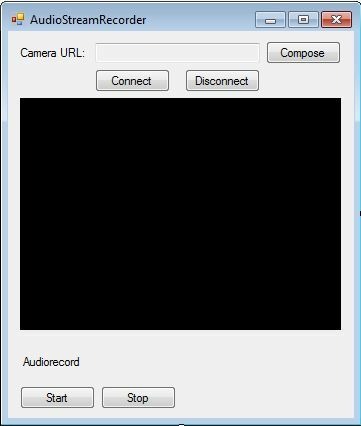 How to record audio stream with an IP camera device using C#? _camera.Start(): In order to receive image from the camera we need to start this method. _recorder.Start(): In order to record the sound from the camera we need to start this method. _connector.Connect(_camera.AudioChannel, _recorder): You need to connect the audio channel of your camera to record.